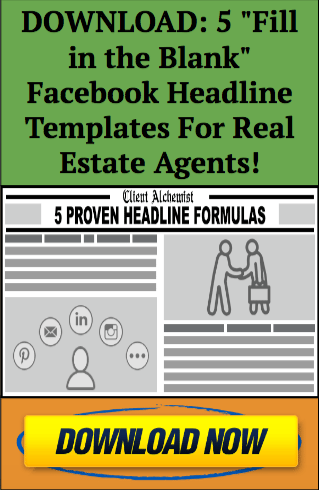 Want to start connecting with more potential clients leveraging a fairly untapped opportunity on Facebook? Here’s a cool NEW hook for you to try. This is something that one of our members, Dutch, has been testing out for some time with VERY favorable results. And the process is super simple. 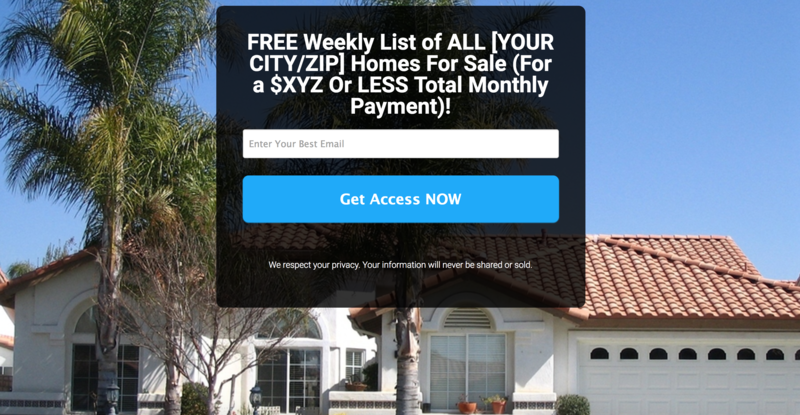 When the person opts in for this offer, simply email them a list of homes for sale within the specified price range. Of course, if you don’t currently have a landing page software to use, we offer this for FREE when you become a Client Alchemist PRO member. This is just an example ad. Be sure to make any necessary state/federal financial disclosures required for compliance as well. You should then select the city or ZIP Code that you are targeting, and then choose some additional detail targeting similar to what you see below. Of course there are other options as well, but this should be a great start. Now it’s time to share your message in several Facebook “Homes For Sale/Rent” for your local area. This is a 100% free strategy you can leverage on top of running ads, which most of your competition is NOT doing. We covered this topic in a little more detail in a previous post HERE, but in summary, you can use the same message as the body copy in your ad above to get some organic leads. This will allow you to get into conversations with people in the groups, and when warranted you can share the link to your landing page so they can opt into your list as well. Hey you! 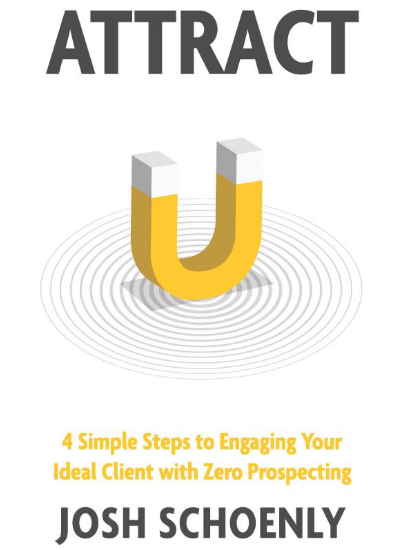 (-: Did you claim your own FREE copy of our Amazon bestselling book, “ATTRACT” yet?